TD Bank makes banking a little more human by putting their customers first and focusing on the personal experiences in their banks. In 2012, I traveled down the East Coast gathering the stories of real TD Bank customers. These stories became the digital center piece to TD's 'Bank Human' Campaign. 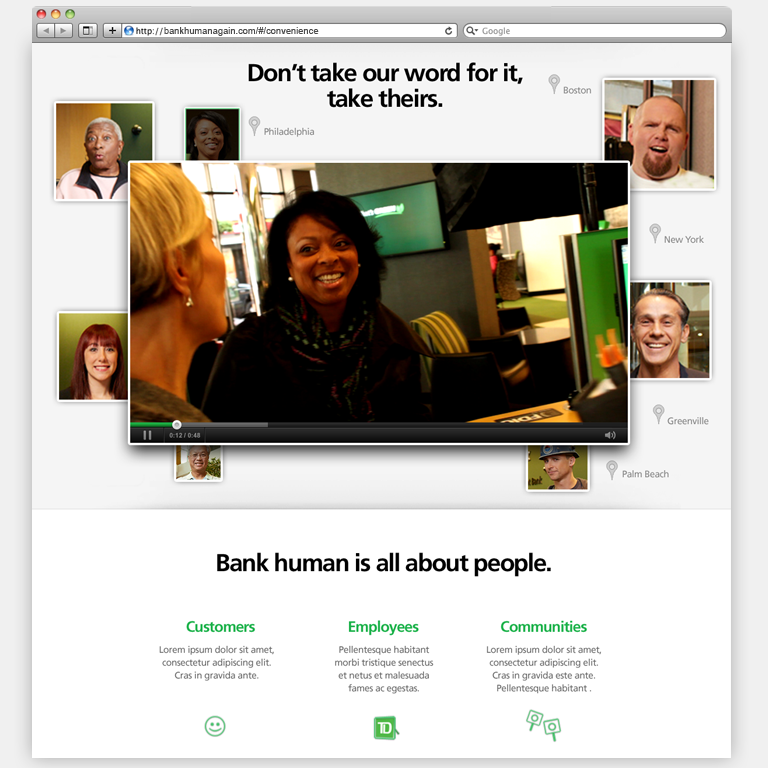 Video and social content was featured on TD's social channels as well as bankhumanagain.com.